I finally put my ice cream maker to good use today! I was up way too late last night googleing how to use it. After watching millions (maybe five) of You Tube videos I finally figured it out. SO simple!! Since I know not everyone has an ice cream maker, you can still make this it will just take a little longer. 5) Turn the ice cream maker on...and WAIT and WAIT and WAIT....for about 30 minutes. I couldn't take it any longer and checked...it was ready!! It was delicious and creamy. I have a feeling ice cream making is going to be a pretty regular thing around my house over summer. If I make ice cream no matter how delicious it may be I do NOT need to eat half the batch, unless I feel like doing extra insulin (I am a type 1 diabetic) and going for a very loooonnnngg run afterwards. Holy moly this looks delicious! Looks like I will be making this soon! Thank you for passing it along! Right when I saw the first picture I knew you had busted out that cute new ice cream maker you scored. Jealous. This looks so delicious!!! 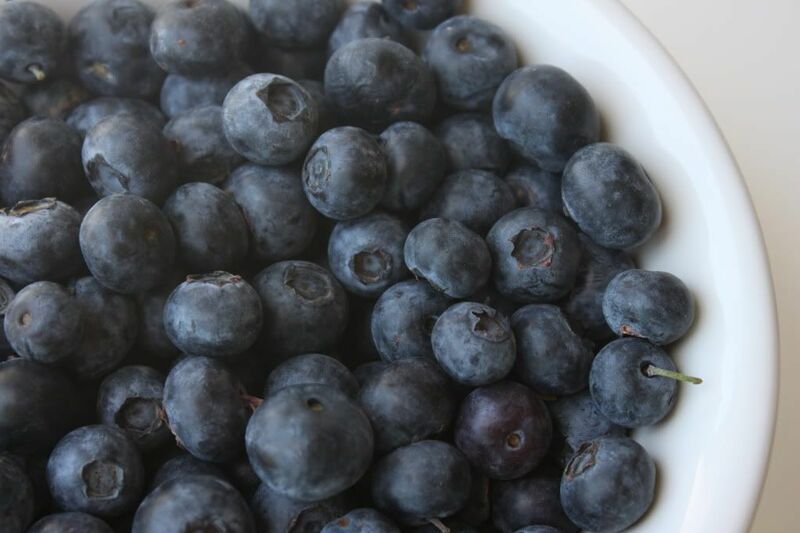 I love blueberries - blueberry ice cream would be the best! And lots of antioxidants too! Great post and great job figuring out that ice cream maker! You are such the chef Lindsay!! ohhhhhhh that first picture is just heaven! i love fruit with vanilla ice cream . 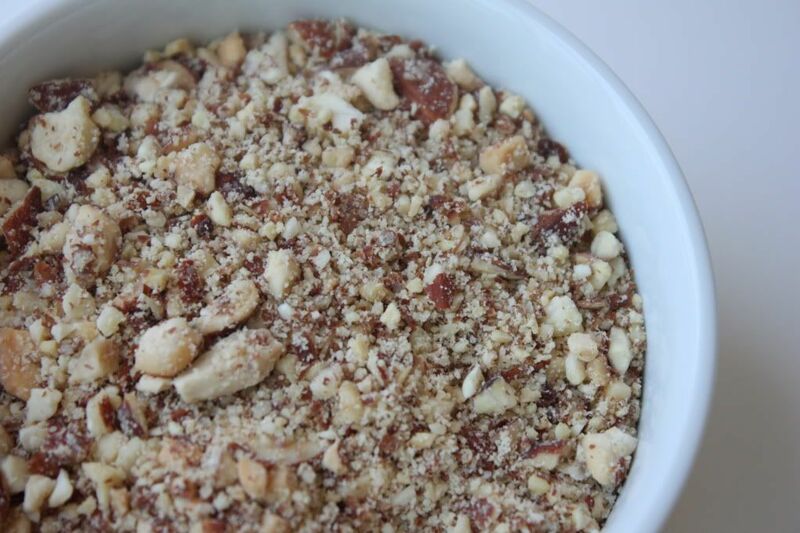 . . one of my favorites is baseball nut from baskin robbins (vanilla, raspberry & cashews). what a great combo. ice-cream is my favourite. and i love blueberries. i don't have a maker but i get good results from just freezing and mixing occasionally. Ooooh, now you're talking Lindsay! You know, I can still eat ice cream here in winter with my nice warm winter puddings. That's my excuse anyway! LOL It looks absolutely gorgeous. What a lovely flavour combination. YUM! Can I stop over and share...ya know since you can't eat it all!! My 10 year old niece has juvenile diabetes. They have know for 1 1/2 yr but still feels like there is so much to learn! OH GAWD! i need an ice cream machine! omg be my personal chef PLEASE??? youre great! Wow this looks so DELICIOUS! We have an ice cream maker, too! We've made strawberry ice cream a couple of times - might have to break it out again to try this scrumptious recipe! Thanks for checking out our guest post! Arghhhhhh your ice cream looks so fresh and delicious! Now all I want to do is dash out to get an ice cream maker and do up my own. OH my yum! this looks so good! I found your blog while blog hopping and i LOVE it! I am your newest follower and would love it if you would check out my blog and follow me too! thanks! Looks YUM!!! Please check out my site and follow if you like. wow - this looks so amazing!! you continue to amaze me with all the stuff you come up with and all the gorgeous picture-taking too! thanks for the sweet comments on my blog and the tip about emu oil - never tried it but I will give it a go! I'm hoping I can find it at a health food store? also, I love the tip about tea tree oil in the fridge!! yummmm!!! must invest in an ice cream maker soon! what kind do you have? 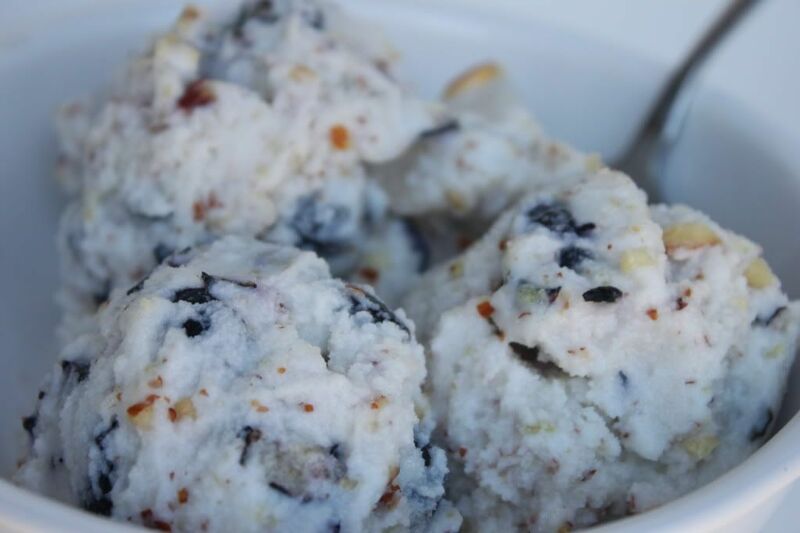 Oh how do I wish I had some of this blueberry crunch ice cream right now- looks wonderful! I'm running out to buy an ice cream maker & blueberries right now. Is Super Target open at 10:30pm? PS> found you through the sweet comment you left on Mindd's blog (Rinndy Mae). That looks delicious. I have never made homemade ice cream before. Hmmm wish I had some right now. Oh my goodness! This looks delicious, I am going to have to make this soon! No way! This looks amazing! Wow, this looks so delicious and refreshing! Wish I had a bowl in front of me now!